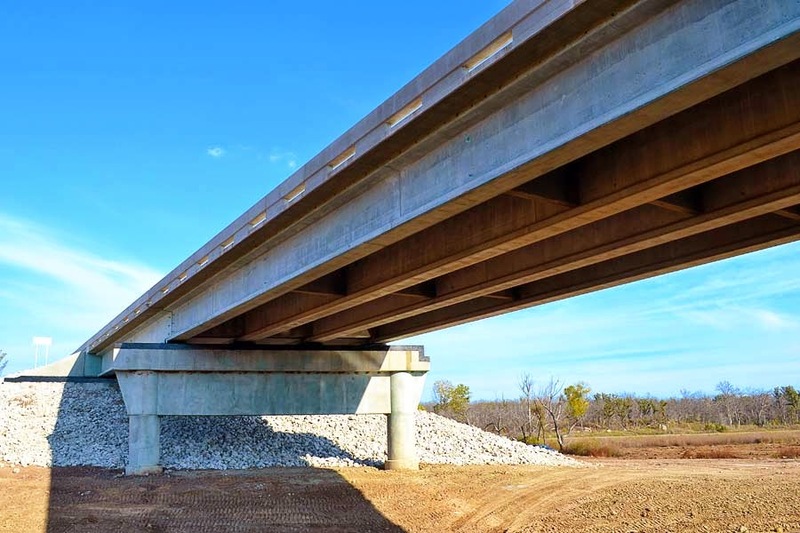 The American Council of Engineering Companies of Oklahoma recently awarded Garver an Engineering Excellence Award in the Transportation category for the Accelerated Bridge project over Cottonwood Creek in Creek County, Oklahoma. 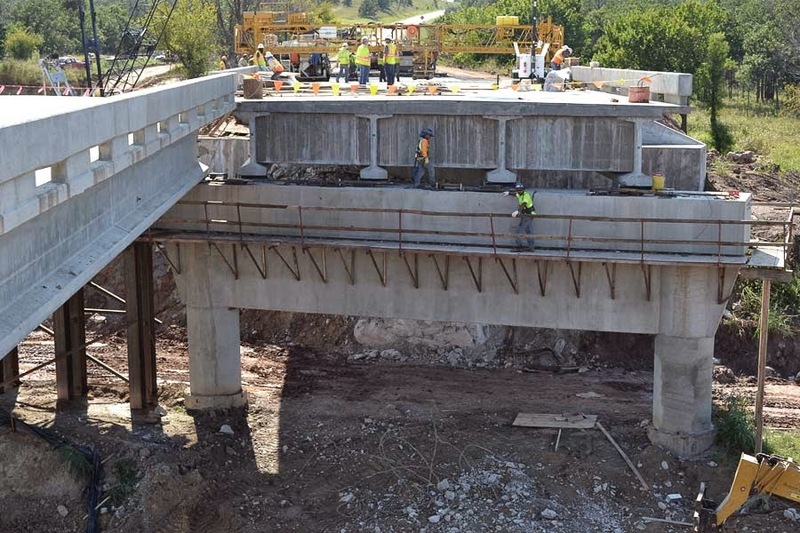 The accelerated bridge project over Cottonwood Creek replaced a deteriorating bridge on Highway 51 in Creek County, Oklahoma. Typically, replacing a bridge on the existing alignment requires an extended highway closure while the new structure is built, meaning added travel time and fuel costs to motorists. 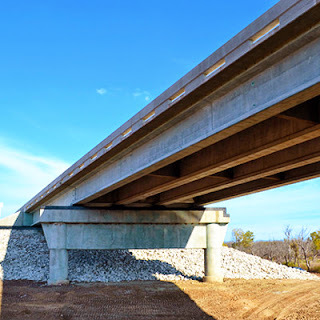 To reduce the time and money spent because of highway closure, the Oklahoma Department of Transportation (ODOT) decided to evaluate the use of accelerated bridge construction (ABC) methods on the Cottonwood Creek project to potentially use elsewhere around the state. This was the first time such methods have been used in the state. Garver provided design for the bridge to be constructed in a manner that limited roadway closure to a total of 11 days instead of an estimated six months. The three spans of the new bridge were constructed on temporary structures next to the old structure, and the permanent piers were constructed beneath the bridge as it remained in service. When the spans were complete, the highway was closed for 11 days while the old bridge was demolished and the new bridge spans were slowly slid into place on the same alignment. As an innovative project, the Cottonwood Creek bridge is a resounding success for ODOT and for the citizens of Oklahoma. The transverse-slide method used in construction saved motorists an estimated $2 million in time and fuel costs, which would have been expended during a normal closure. 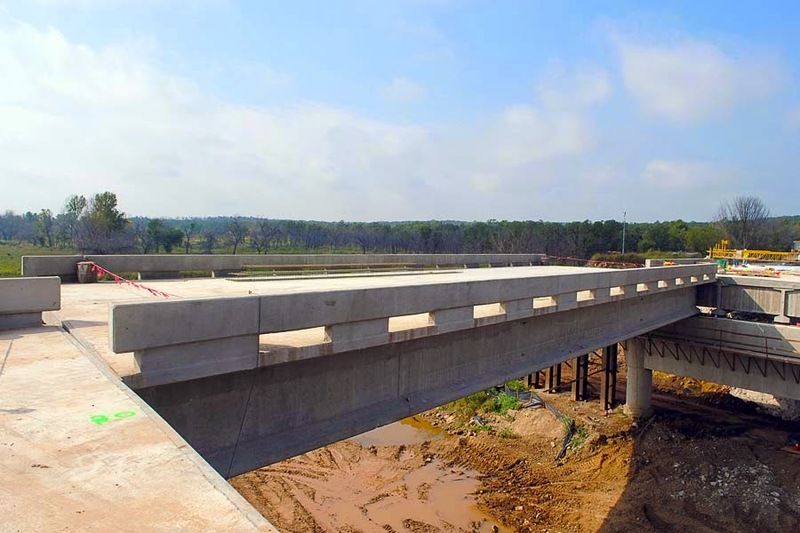 While this method of construction costs more than a conventional construction, the project's reduction in user costs, decreased use of and wear on detour routes, and improvements in work zone safety set a standard for future bridge construction projects in Oklahoma. The project was also recently featured in Aspire, The Concrete Bridge Magazine. View the magazine by clicking here, and look for the Cottonwood Creek feature on Page 20.